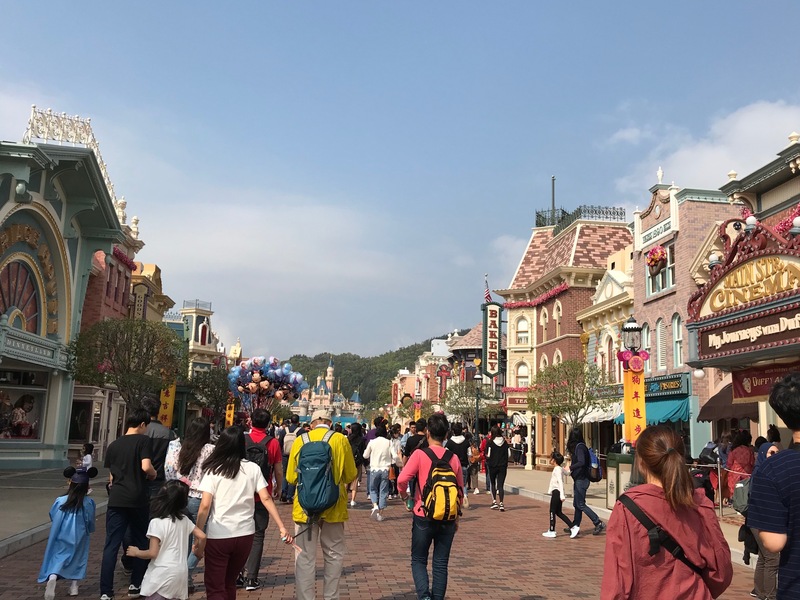 Despite being half a world away from the original House of the Mouse in Anaheim, California, Disneyland in Hong Kong retains the corporation’s commitment to making sure the theme park is as accessible as possible for people with all kinds of disabilities. Although Disneyland Hong Kong is the smallest of the world collection (and by smallest, I mean tiny), this means you can easily see the whole park in a day and with minimal arm or battery power. Here’s my guide for making the most of your visit to Disneyland Hong Kong as a wheelchair user. The easiest way to get to Disneyland Hong Kong is by using the MTR metro system. 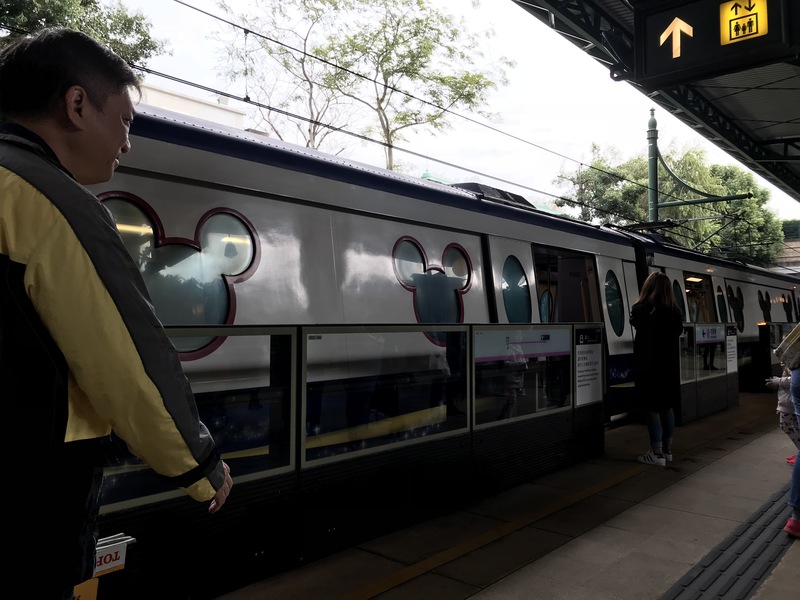 The orange Tung Chung line connects to the Disneyland Resort Line at the Sunny Bay station, and from there the resort is only one stop away. The train itself is fantastic, with Mickey Mouse-shaped windows and grab handles, as well as little statuettes inside the cars themselves. It’s only a 5-minute roll from the MTR station to the park entrance. You can also take the bus or a taxi (I recommend Diamond Taxi for an accessible van). Here’s a full list of options for getting to Disneyland Hong Kong. 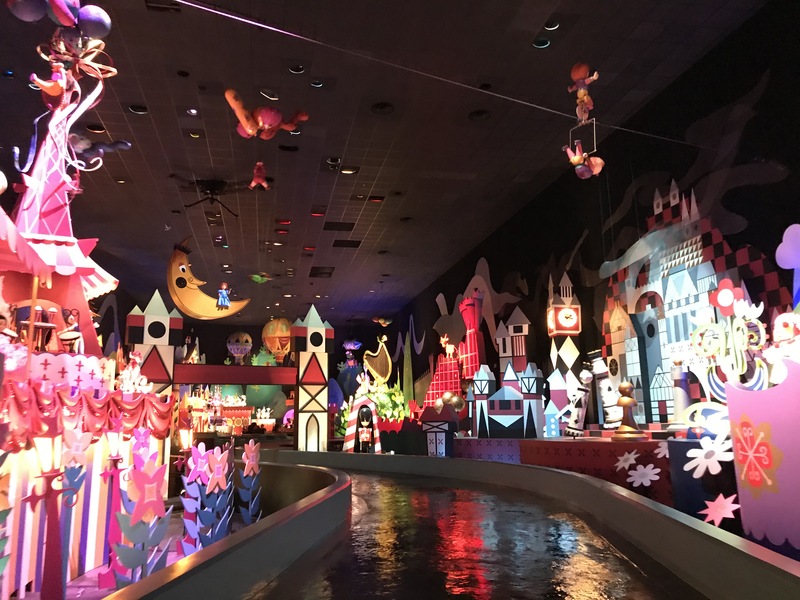 If you’ve been to a Disney park in the United States (especially Walt Disney World in Orlando), you may be disappointed at the very limited selection of rides at Disneyland Hong Kong. On the other hand, it’s a nice sampler that can be seen in a short amount of time, which is ideal for visitors who have disabilities that limit their endurance for things like long lines, heat, or crowds. There are a few rides that are wheelchair accessible, like It’s a Small World, The Many Adventures of Winnie the Pooh, Jungle River Cruise, and Mystic Manor. However, you must be able to transfer into a manual chair provided by the park. The cast members are extremely helpful, as I was at the park alone and they pushed me into and out of the ride vehicles. Here is a list of Disneyland Hong Kong attractions and their levels of accessibility. For every ride I was able to go on, I was taken through an alternate entrance rather than being asked to come back at a specified time like the US parks do. During my visit to Disneyland Hong Kong, there were three shows and two parades (one during the day and the other at night). 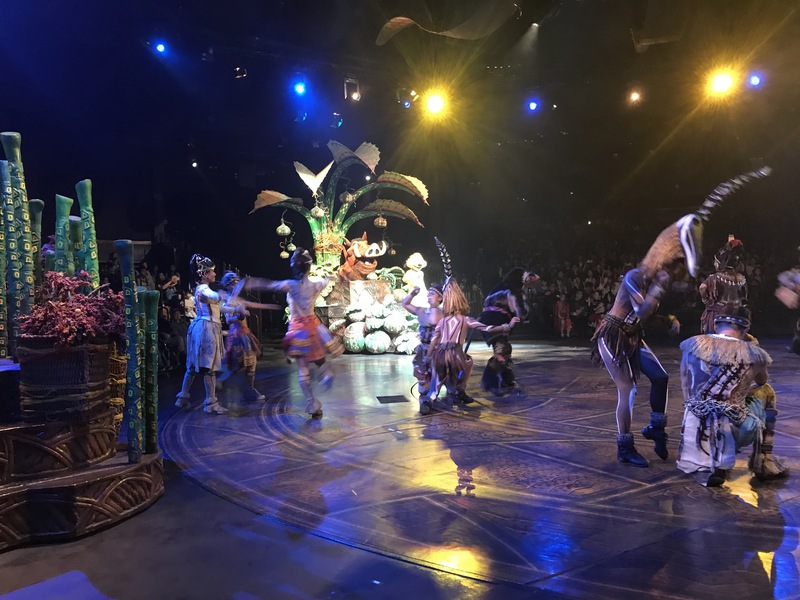 I went to the Festival of the Lion King show, which was a lovely 30-minute production in-the-round with tiered seating and designated spots in the front rows for wheelchair users. Companions can sit in reserved spaces right behind the wheelchair user, and you are brought into the theater before other guests to help you get settled before the crowds rush in. I didn’t stay for the parades because I wanted to beat the rush hour crowds on the metro. However, Disneyland Hong Kong offers designated parade viewing areas for guests with wheelchairs and their parties (on a first-come, first-served basis). When you purchase your park ticket, you have the option to purchase a dining package. The restaurants I saw were all self-service, with some larger than others with more food options. You also have smaller vendor carts with faster options for eating on-the-go. This is Hong Kong, so food options are going to be mostly Asian, with the occasional hot dog or burger thrown in there for the Western palate. The cordoned-off areas for ordering and paying can be quite narrow, so you may want your companion to order for you. Prices are much more reasonable than they are at US-based Disney parks. I paid roughly US$6 for a hot dog and US$10 for a huge waffle and a bottle of Coke. Despite the small size of the park, there is no shortage of places where you can buy souvenirs here. There is plenty of space within the stores to navigate the merchandise displays with a wheelchair. However, the cordoned lines to pay in some shops on Main Street are extremely narrow, and you may have to ask your companion to pay for you. Your biggest obstacles will be the crowds in the shops, as chances are you will be largely invisible to them. Use your voice to loudly alert others to your presence or you’ll constantly get cut off, cut in line, or bumped into. Prices are much more reasonable than they are at US-based Disney parks. I paid about US$25 for a t-shirt and a magnet, US$8 for two Avengers keychains, and the same for two small Star Wars toy cars. 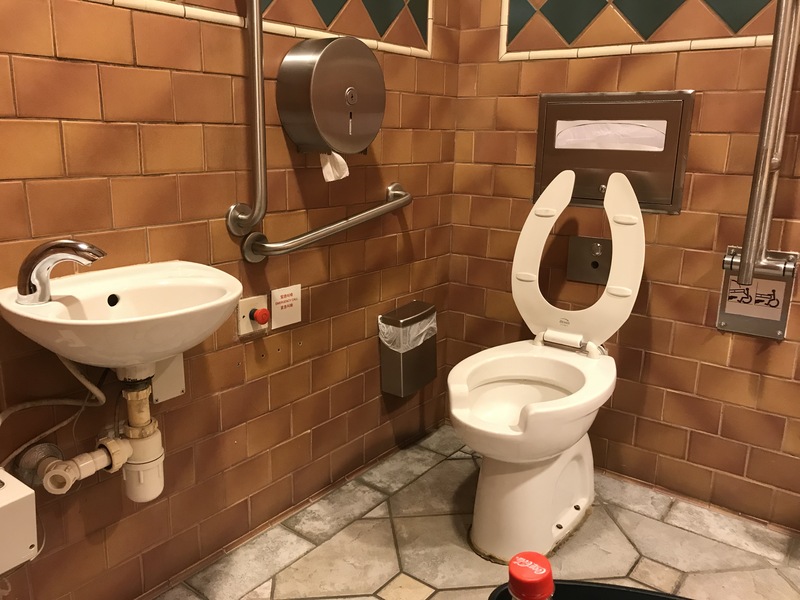 Just like in the US-based Disney parks, there are accessible toilets everywhere at Disneyland Hong Kong, and they accessible toilets are separate from the regular bathrooms. They do combine the baby care features into the same separate bathrooms, so you’ll have to share that access with parents needing to change diapers. The bathrooms are large, have two pull-down grab bars on either side of the toilet, and a small roll-under sink. There are also red emergency buttons right next to the toilets. Disneyland Hong Kong is quite flat and very small, so it’s quite easy to get around in either a manual wheelchair or power chair/scooter. There are curb drops at frequent intervals on Main Street, which is really the only place you’re going to find curbs. There are some sections of the park pathways, like Mystic Point, that have rougher stone surfaces and will make for a bumpier ride. There is no trolley, so you don’t have to worry about rail grooves in the Main Street area like you do at other Disney Parks. Stay alert for people moving around you. I visited on a VERY slow day and I still almost got run into at full steam by a man with a stroller who wasn’t paying attention. It’s a different culture in Hong Kong and wheelchair users aren’t common. You will get a LOT of stares, many not so nice, with the occasional smile and thumbs up from older Asian men. Being crowded is a way of life in Hong Kong, and your person bubble will shrink very rapidly. 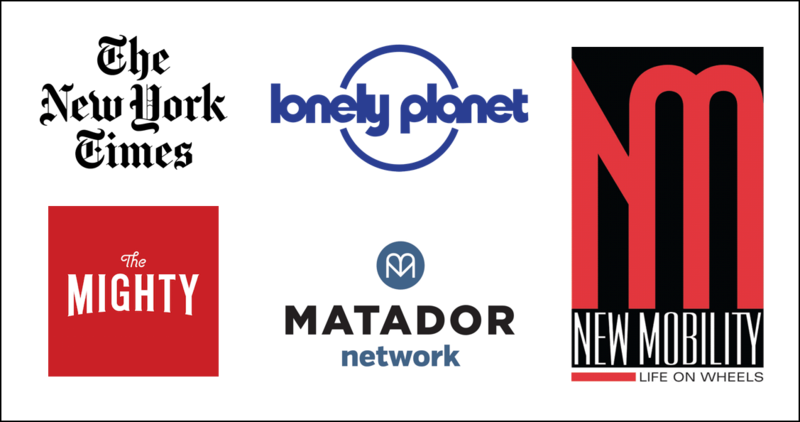 Speak up with a firm “excuse me!” and most people will apologize and quickly make room for you. Are you ready to explore a new Disney park in Hong Kong? 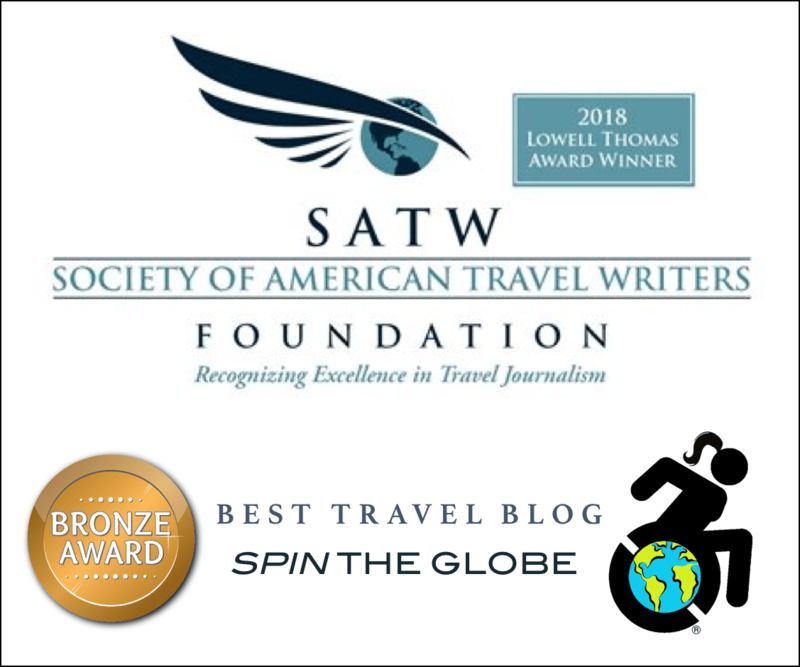 Contact me at Spin the Globe/Travel and ask me how I can help you get there!